Agreeing with Socrates that the unexamined life is not worth living, Professor Hibbs also wonders whether an unlived life if not worth examining. He will reflect on the way in which technology, for all the good it offers, does not foster in us a hyper self-reflective state of mind, in which commenting on or recording our lives substitutes for the actual living of our lives. Along the way, he will also talk about why it is that contemporary films, as entertaining and thoughtful as they often are, always seem to screw up the ending and why, contrary to what you may think, you have no friends...yet. After that bleak message, he will offer hopeful thoughts about the role of a Baylor University education in liberating you from the cave of contemporary culture. 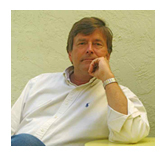 Called upon regularly to comment on film and popular culture, Dean Thomas S. Hibbs has made more than 100 appearances on radio, including nationally syndicated NPR shows such as "The Connection," "On the Media" and "All Things Considered," as well as local NPR stations in Boston, Massachusetts; Ann Arbor, Michigan; Dallas, Texas; and Rochester, New York. He also has written on film, culture, books and higher education in Books and Culture, Christianity Today, First Things, New Atlantis, The Dallas Morning News, The National Review, The Weekly Standard, and The Chronicle of Higher Education. The lecture is set for 7 p.m. Wednesday, September 2, in the Alexander Reading Room. Dr. Hillis reflected upon his Baylor experiences, graduate training, and becoming a MacArthur Fellow. He also offered advice on preparing for a career in science. Later that afternoon, Hillis shared about his current research -- Medical Applications of Evolutionary Biology. Dr. David Solomon lectured on medical ethics and the fate of liberal democracy. Solomon's talk was not be technical but instead addressed the problem of what happens to a democracy when it allows academic experts to begin making its most important decisions about life and death, health and sickness, lives that are to be valued and those that are not. 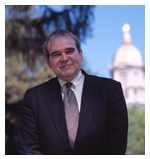 Solomon is a Baylor alumnus and runs the Center for Ethics and Culture at the University of Notre Dame. He has taught many Baylor faculty, including Honors College Dean Thomas Hibbs, and is in high demand as a public speaker because of his intelligence and wit. Dr. Patrick Downey as he plumbed the depths of Greek tragedy, classical philosophy, and Christianity to discover the unsettling truth about ourselves and the crisis of the West. Dr. Downey is a professor of philosophy at St. Mary’s College in California and the author of Desperately Wicked: Philosophy, Christianity, and the Human Heart (InterVarsity Press, 2009). Dean Thomas Hibbs and Great Texts Professor Michael Foley can personally vouch for Downey’s amazing skills as a teacher. Phyllis Tickle: Emergence Christianity: What Is It? Where Did It Come From? How Shall We Engage It? Phyllis Tickle is contributing editor in religion for Publishers Weekly, the international journal of the book industry. Frequently quoted in sources like Newsweek, Time, Life, The New York Times, USA Today, CNN, C-SPAN, PBS, BBC, etc., Tickle is an authority on religion in America and a much sought after lecturer on the subject. It was our distinct pleasure to welcome two dear friends and highly distinguished Arthurian scholars to Baylor University. Prof. William (Bill) Kibler, translator of Chretien de Troyes's Arthurian Romances for the Penguin series, and Prof. Monica L. Wright (U Louisiana-Lafayette), who specializes in clothing and textiles, delighted us with An Afternoon of Arthuriana. Our panel of experts presented a media-enriched presentation on "The Three Arthurs" followed by a brief discussion of clothing and textiles in the romances of Chretien de Troyes. Prof. Andrew Delbanco (Levi Professor in the Humanities and Director of American Studies, Columbia University): What is College For? Professor Andrew Delbanco, winner of the 2006 Great Teacher Award from the Society of Columbia Graduates, is the author of Melville: His World and Work (2005), which won the Lionel Trilling Award and was a finalist for the Los Angeles Times Book Award in biography. He is also the author of Required Reading: Why Our American Classics Matter Now (1997), and The Real American Dream (1999). Delbanco regularly reviews books about higher education for The New York Review of Books, and his latest book, based on the Stafford Little lectures at Princeton, is College: What it Was, What it Is, and What it Should Be. Themes from the book -- on the nature of liberal education, the various pressures on colleges, and the goals we ought to be pursuing with our students -- were the focus of his lecture at Baylor.